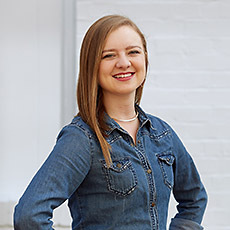 Sadie is a graduate of Saint Vincent College and has worn many hats and titles since joining the 321Blink team, from Social Media Manager to her present role and title of Brand Strategist. Sadie is one of those rare people who can use both sides of their brain effectively. She is equally at ease preparing creative briefs as she is diving into data and analytics for clients. Sadie also has a soft spot for animals, particularly cats and rescue dogs. In fact, Sadie manages the American Brittany Rescue Instagram account (@AmericanBrittanyRescue). She is a lover of musical theater, as well as Asian food, group fitness classes, and trying anything off the beaten path.